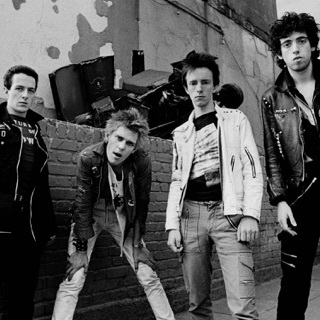 One of the longest-lived groups of the punk era, 999 formed in London in December 1976. Led by vocalist/guitarist Nick Cash, a onetime student at the Canterbury College of Art under the tutelage of Ian Dury and a former member of the pub rock units Kilburn and the High Roads, the band also included guitarist Guy Days, bassist Jon Watson, and drummer Pablo LaBrittain. After dispensing with a series of names -- including 48 Hours, the Fanatics, and the Dials -- 999 quickly established themselves as a popular fixture on the London punk circuit, issuing their incendiary debut single, "I'm Alive," on their own LaBrittain Records in late 1977. The single won the quartet a deal with United Artists, who issued both "Nasty Nasty" and "Emergency" in 1978; an eponymously titled LP debut, produced by Andy Arthurs, followed later in the year. For their sophomore effort, 1978's Separates, 999 enlisted producer Martin Rushent, resulting in a more polished, mainstream veneer for material like the near-hit "Homicide" and "High Energy Plan." After LaBrittain suffered injuries in a vehicular accident, drummer Ed Case was brought in to pick up the slack for a major U.S. tour preceding the release of 1980's The Biggest Prize in Sport; issued a short time later, The Biggest Tour in Sport EP collected material recorded live during the group's American dates. A healthy LaBrittain rejoined 999 full-time for 1981's Concrete, an album buffered by covers of "Li'l Red Riding Hood" and "Fortune Teller" -- an indication that the group's wellspring of creativity was running dry. 1983's 13th Floor Madness was universally panned for its disco-like grooves, although 1985's self-released Face to Face was acclaimed as a melodic return to form. At the end of the year, Watson exited the group's ranks and was replaced by bassist Danny Palmer in time to record 1987's Lust, Power, and Money, a live set cut in London.